KOR have 2 wins, 2 losses and 1 draw in their last 5 matches. Park Joo-Ho has been ruled out of the tournament with a hamstring injury. Park Joo-Ho might be replaced by Kim Min-Woo. MEX have 1 win, 3 losses and 1 draw in their last 5 matches. Giovani dos Santos missed out match. Edson Alavrez replaced Giovani dos Santo. H Lozano scored goal with assist from J Hernandez which won them their first match against Germany. 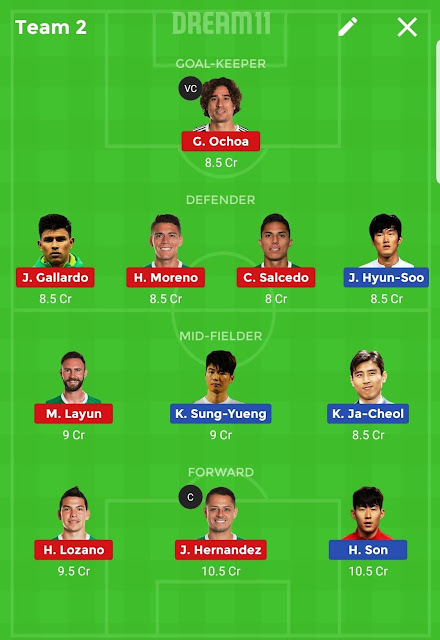 Prefer Guillermo Ochoa as GK. South Korea have lost five of their last seven matches, including three of the last four. 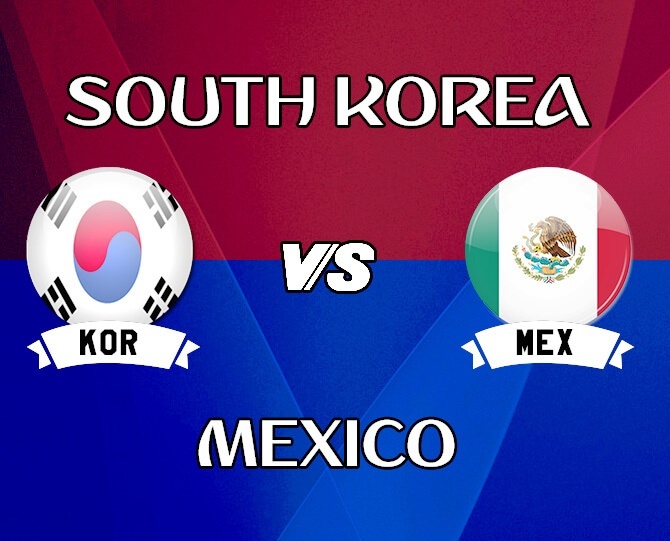 The Koreans have also failed to score in any of their last three matches. 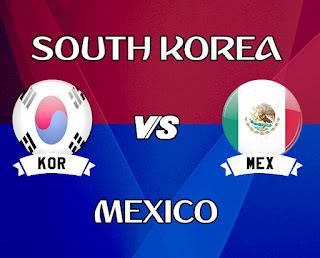 Mexico have won all three of their previous World Cup matches against Asian opponents – including beating South Korea at France ’98’. South Korea have won just two of the 11 World Cup matches they have played since their run to the semi-finals on home soil in 2002. 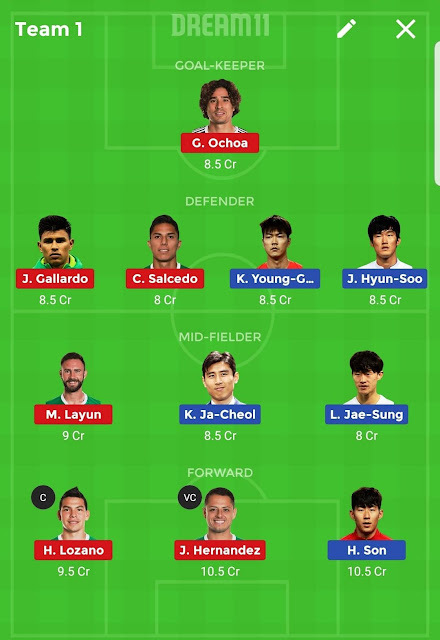 Please check here often as playing 11 will be updated if there is any change. Don’t worry you will get notification and also in chat.